Visit the App Store or Google Play to download the Recycle Group app to your device and then select “Virtual Intervention” in the menu. 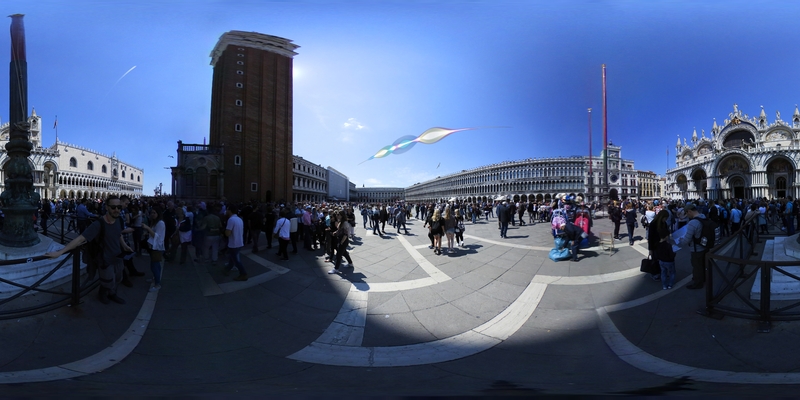 You will receive a map of Venice with locations of all augmented reality artworks and where you should stand to experience each one. Each virtual intervention is linked to the corresponding geolocation. Upon arrival at each site, you will automatically see the virtual artwork on the screen of your device through the Recycle Group app. In 2016 they won Special Prize of Arte Laguna Art Prize “Festivals & Exhibitions”. The artists were selected to represent Russia at the Venice Biennale 2017.